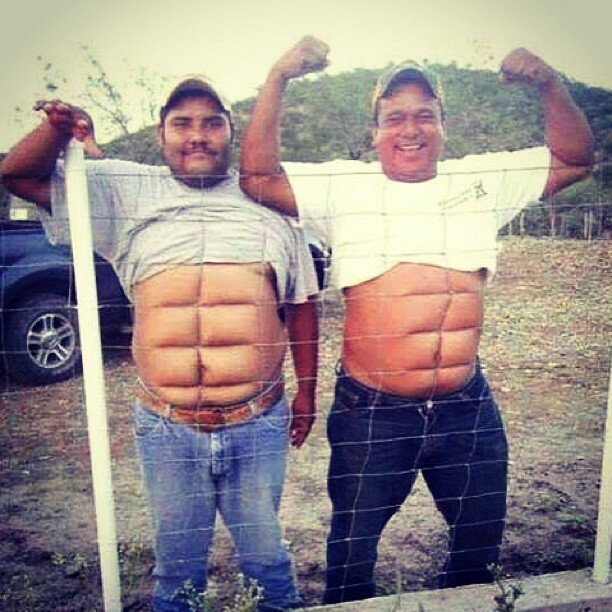 These two men have worked out a cheap and easy way to get the perfect six pack stomach. Ingenious! No need to go to the gym – just carry a fence around with you!